If the Lakers know that next season's roster will be composed much like James' Miami Heat teams and those of his second stint with the Cleveland Cavaliers, Lue emerges as a logical top candidate. According to a report by ESPN's Adrian Wojnarowski, Lue is a front-runner for the job. The former Cavs coach won a championship with James in 2016 over a 73-win Warriors team, an incontrovertible achievement that James honors. Coming up as an NBA assistant, Lue earned his bones as a tactician, first and foremost. Whether he's drawing up sets out of timeouts, or installing counters on the fly in crucial postseason games, Lue's high-IQ basketball brain speaks to James. Lue also is willing to challenge James in front of the team at selective momentsif, say, James insists on a strategy that runs counter to Lue's preferred game plan. If the goal is to create a world in which James feels his needs are being metand in which Kyle Kuzma is learning how to play a consistent brand of NBA defense, Ham might represent that middle ground. He has the temperament and presence to inspire and challenge both men. He has also previously worked for the Lakers as an assistant coach for two seasons. 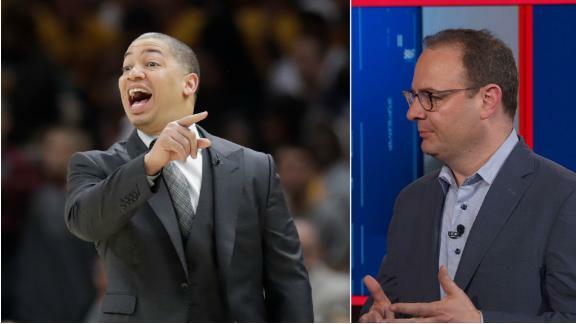 Adrian Wojnarowski details Luke Walton and the Lakers' fractured relationship, while Tyronn Lue and Monty Williams emerge as possible replacements. 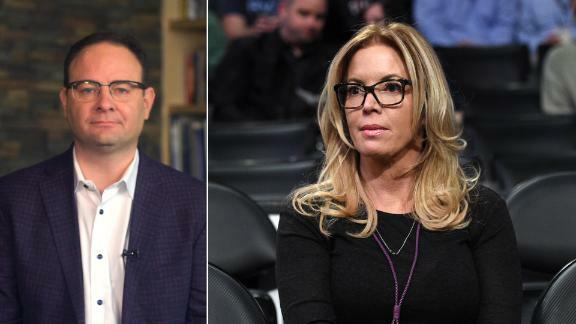 Adrian Wojnarowski explains the pressure that now falls on Lakers owner Jeanie Buss to find the right executive after Magic Johnson's resignation. 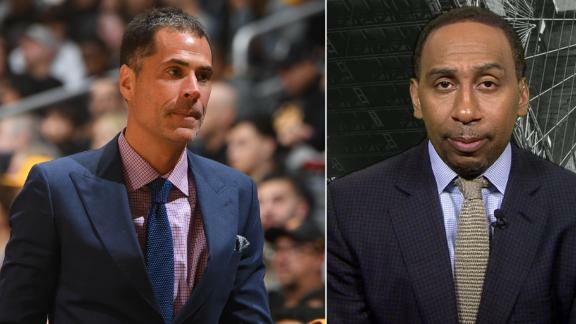 Stephen A. Smith suggests that the Lakers need to add someone to their front office to assist Magic Johnson and GM Rob Pelinka. 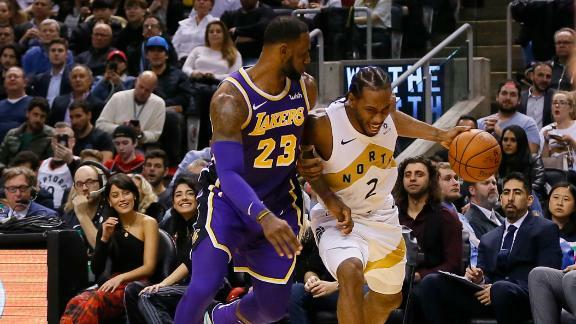 LeBron James and Kawhi Leonard went head-to-head in Toronto for the final time this season and the Raptors walked away with the W.